i love the multi purpose spray cleaner – nice smell + no nasties! like to know i’m not using harsh chemicals in the bathroom with a toddler in the house. My go to favourite is the Manuka honey & kelp body soap ! Gentle on the skin and a subtle fresh scent :) yum. Love this and I love the grapefruit and mint hand wash!! Rose and cardamon body wash is delish! Orange and patchouli hand wash! Love the smell! I love the grapefruit and mint hand wash… Wish there was a body wash equivalent, yummiest smell! absolutely love the coconut soap!! Ohhh!! I love it all but especially the grapefruit and mint hand wash! I Love the lemongrass soap. So zesty! I love their grapefruit spray and wipe! It makes the kitchen smell amazing! I love the baby bubble bath for my kiddies. It wasn’t until I found it that they had ever had a bubble bath due to sensitive skin – feels good to give my kids something ever child should get to have without the worry of skin irritation. We all love the coconut and vanilla body wash in our house, and it’s very gentle on our sensitive skin. The Lemongrass soap. Anything lemon is my go to! I love the lemongrass soap. It’s so fresh! The orange and thyme multi-purpose spray. I LOVE the smell, but it’s not overpowering. Clean and fresh. Manuka,honey and kelp body soap and also baby body wash is much loved by my little boy! Congratulations Kelly! You’ve won the pamper pack! Please email me on hello@theblackbird.co.nz to claim your prize! Yay! 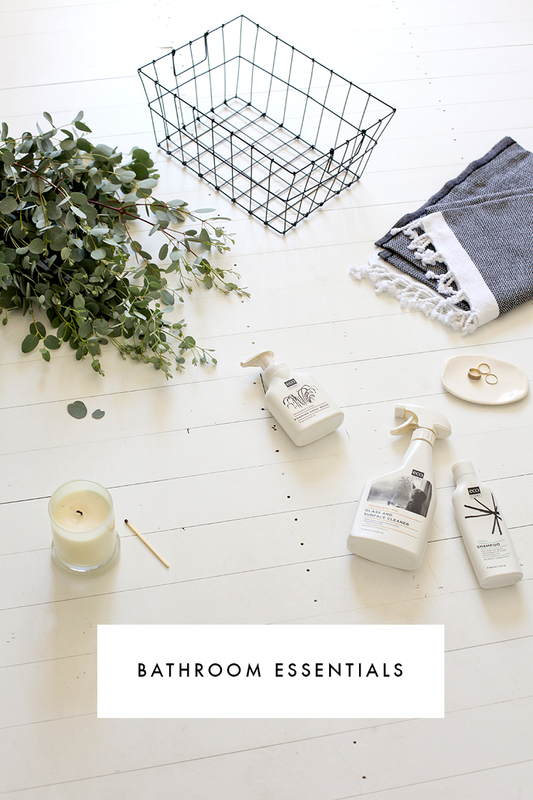 The coconut & vanilla hand wash sounds divine! Simple Lemongrass handsoap. It does its job perfectly! Definitely the lemongrass soap.Smells delicious with a gorgeous smooth feel that moisturises my skin rather than dries it out. I love the aluminium free Biologika Deodorant – Mystic Wish. My favourite bathroom product is a burning beeswax candle. Ecostore’s rose and cardamon handwash is also a sensationally fabulous; easy to use; lovely to smell; vanity-love. I can’t live without their unscented shampoo! actually the bathroom and shower cleaner sounds great. Their body wash and all of their products are wonderful! I personally love the Love the grapefruit and mint foaming soap – how do they get it to foam!? I don’t know i’m not a scientist but it amazes me everytime and is the best smelling soap! I love the Ecostore soaps, really gentle on my hand, smell great and good value! Baby sleepy time bath is amazing! I use it for in the bath but also a few drops to scent the baby wipes instead of having heavily fragranced products. TO BE HONEST – I CAN’T CHOOSE JUST ONE ECO STORE BATHROOM PRODUCT!!!! THEY ARE ALL DELISH!!! Grapefruit and mint! Yum yum yum! The rose and cardamon handwash is lovely. Multi-purpose spray cleaner – orange & thyme – lovely scent! All their products are great, I’ve used the dishwash and clothes detergent for years now, I love the geranium and orange laundry liquid. I just picked up the orange and patchouli handwash on a whim from the supermarket the other day, and I have so much love for it. Looking forward to trying out their other products. I love the goats milk soap, definitely a favourite. I love the multipurpose cleaner for the bathrooms! My fave is the Glass and Surface cleaner! seriously, I cant decide which one, I love all of the products from them. I love the foaming handwash! Having grown up with Jif, I love the Cream Cleanser for being like Jif but better. The vanilla & coconut body wash sounds delicious! They are all amazing but the coconut and vanilla hand wash is one of my faves! I love Their coconut hand soap, such a delicious sent! The coconut and vanilla hand wash is a staple and favourite in our bathroom! I love the lemongrass soap! My favorite? The Grapefruit and Mint Soap! A hands down (!) winner, it smells so delicious that come to think of it…’washing your mouth out with soap’ wouldn’t be an unpleasant experience at all! LOVE the citrus bathroom cleaner spray. Doesn’t dry out my hands when cleaning and the scent is devine :-) Even my kids love the smell!! The lemongrass soap. So invigorating in the morning. Helps me get cracking by waking me up in the shower. The kids range of bath wash and shampoo had always been a fav. We love the kids range particularly the shampoo and bath wash.
Love lots of Ecostore products especially the coconut and vanilla soap.